The primary goal of efficient AC units is lowering energy use. Efficient AC systems will run at a level that uses as little energy as possible while still maintaining the desired cooling effect. There are many different ways to keep an AC unit’s energy use low. For instance, the cooled air needs to be able to sustain its temperature, so that the AC unit isn’t constantly working to cool down warming air. This is where product, design, installation and performance all come into play. 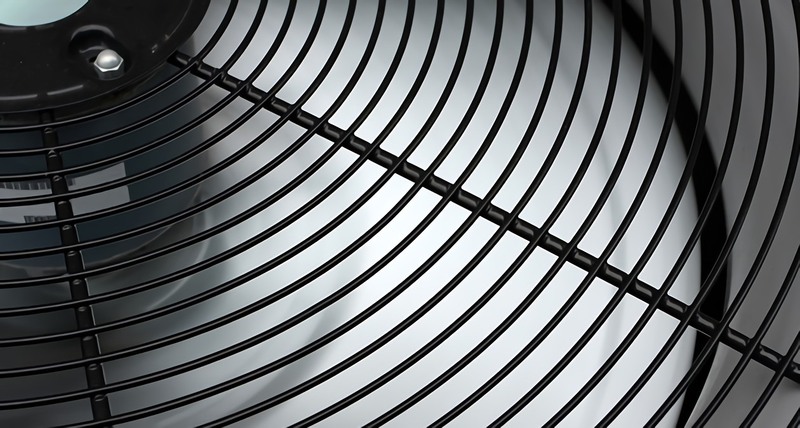 An AC unit is far more than just coils, fans and pumps. Central AC systems in particular involve a complex design process that anticipates how the AC’s airflow circulates within a structure and how it is recycled for optimum temperature control. The interconnected ducting and channel network are just as important as the air conditioner itself. Most modern structure-wide AC systems are centralized and service multiple rooms with different temperature demands. An efficient AC system includes the best technology available to be able to produce better airflow more consistently. Equipment may involve more efficient thermostats, refrigerants, coil components, or ducting materials. Furthermore, modern units also feature computer control systems for automated management. Newer controls are operated via wireless connection and offer a highly interactive format for saving and recalling temperature settings. If the AC unit has to work harder because it is located in a hot area or is unable to draw air properly, it will be self-defeating. If the ducts are not insulated or easily torn, leakages will render the unit largely useless. Efficiency is highly impacted by proper installation (and maintenance) methods that include both product choice and proper placement in a facility. Hence, it’s essential that a professional with HVAC certification examine the structure thoroughly to determine what kind of AC system meets the residents’ needs the best. An efficient system has to be able to reach desired performance levels consistently over extended time periods. For instance, ENERGY STARcertified central AC systems have higher seasonal energy efficiency ratio (SEER) and energy efficiency ratio (EER) ratings, making them over 15% more efficient than conventional models. To ensure that a new AC system performs at its rated efficiency, heating systems—including the furnace—should be replaced as well. AC efficiency is achieved by a combination of factors that make certain that a system performs reliably over time while keeping energy use to a minimum. Any knowledgeable HVAC technician should be familiar with the different facets of AC efficiency to serve their customers as best as possible. If AC installation and repair sounds like a career for you, you can learn more about the path of an HVAC technician by contacting The Refrigeration School today.